I read two novels this week. Both have female characters who deal with mental illness, as do I. Naturally I've been thinking how these characters experiences are similar to and different from mine. 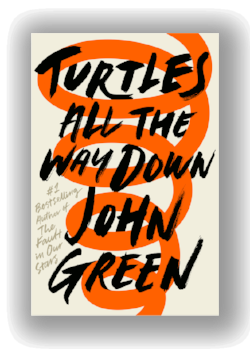 The book I enjoyed most was Turtles All the Way Down by John Green. I'd stopped reading RA novels as a rebellion against my profession, but my husband turned me on to his Vlog Brothers Youtube channel. Liking the author as a person led me to buy and read the book. The character, Aza, is a seventeen-year-old girl in high school. She has the typical challenges of friends and homework, but she is also coping with the death of her father and with navigating "normal" life with OCD. Her illness takes the form of obsessive thoughts about her microbiome. Aza is terrified that the wrong germs will prevail and kill her. She reads and rereads articles about deadly bacteria. Knowing that so much of our bodies are made up of bacteria makes her uncertain of her self-ness. Also, therapy has taught Aza that she is not her thoughts, but then, who is she? Medication is also an issue because if those chemicals change her, is she still herself? The medication issue was a big one for me. 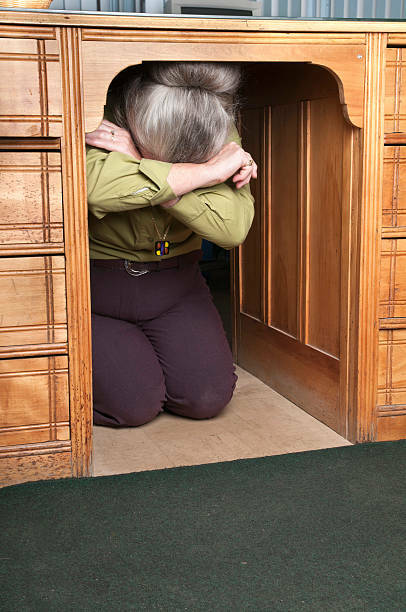 I resisted antidepressants for a long time because I was afraid they would change who I am. Fiercely anti-perky, I really didn't want any form of "happy pill." I only started medication for the sake of my children. After more than 20 years, I can testify that my medications did not take away any of my natural German snarliness. They do keep me from crying all the time. Aza's obsessions helped draw me into the book. I'm also fascinated by bacteria and parasites. I watched every episode of Monsters Inside Me. But my interest doesn't come with the same fear or the same sense of disconnection from myself. Aza struggles to find and hold on to herself, I struggle to value a self I sometimes feel stuck with. 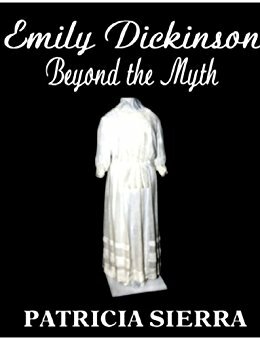 My struggles more closely resemble those of Emily in Emily Dickinson: Beyond the Myth by Patricia Sierra, yet I had a hard time getting into the book. I was looking for a biography. This is a novel from Emily's point of view. I don't think Emily, as portrayed in this book, would approve. I do approve of the author downplaying whatever mental illness Emily may have suffered from. Diagnosis of the long-dead is a dicey science. 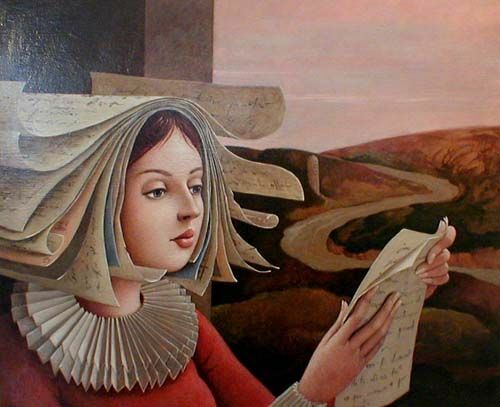 In the book, Dickinson's withdrawal from society is a conscious choice she makes to focus on her art. At least that's what she tells herself. But we still see Emily unable to descend the stairs to meet a friend, unable to leave her house to sit at a loved one's death bed. I understand. social interaction is a lot of work and sometimes I just can't. Sometimes, even if my body is working, my mind revolts and I really need to stay curled up in a quiet corner. Fortunately, I have a sense of adventure that gets me up and out of the house. It also gets me in trouble sometimes. Tonight is one of those times. Months ago, I was gutsy enough to ask a kind woman with a beautiful home to host a boutique of my knitting. Now it's here, the neighborhood is invited and I'm terrified. This is happening Thursday night. I publish Friday, so it will all be over when you read this. How it went is the topic of next week's blog. THE KNITTING--is all packed up for the show or for a trip we may take afterwards if technical difficulties with the new car are taken care of. I'll get back to you on that topic as well. 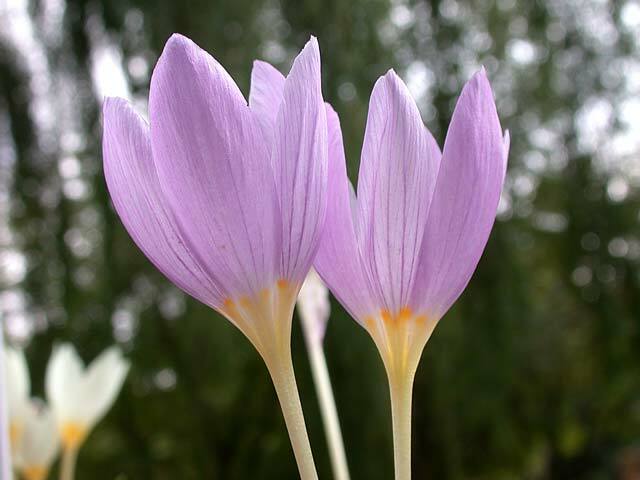 The fall crocus are in bloom--hope for spring as the leaves start to fall. I love reading your thoughts. One of the best days of my life was the day I started my current antidepressant. What a difference the right med in the right amount makes. Thank you for your comments. I'm glad you found that balance. I'm hoping they can develop tests to take some of the trial and error out of the process.